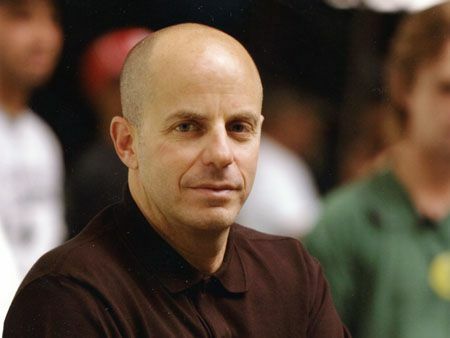 Exclusive: Producer Neal Moritz on BATTLE: LOS ANGELES, GREEN HORNET, JACK THE GIANT KILLER – Plus Battle: L.A. and Green Hornet Might go 3D! They haven’t decided if they are shooting in 3D or doing it in post. 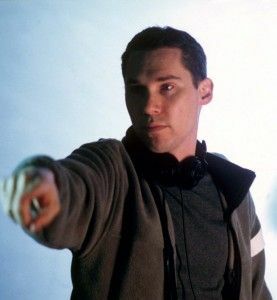 Bryan Singer recently went to all the 3D production houses to look into it. They might shoot some of the live-action in 3D and other stuff in 2D. Finally, if you missed previous articles from the “Seven Days with Neal Moritz”, here’s what he said about R.I.P.D., Fast and the Furious 5/6 and his remake of Highlander, and here’s updates on Shane Black’s Doc Savage, his remake of Total Recall, and what’s up with Flash Gordon. Neal Moritz: I don’t have as much problem with the post-production version. I’ve seen now…let me step back. I think 3D is a great innovation for the film business. But I hope it’s not the thing that kills the golden egg because what’s happening now is every movie there’s pressure from the studio to turn it into a 3D movie. So what’ll happen is there’ll be some very good cinema experiences are going to see 3D where you have to pay more. 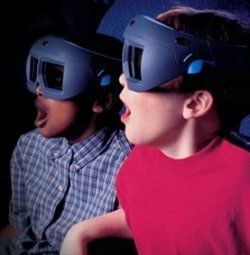 And there’ll be some bad experiences of going to see movies in 3D. And I just hope that this kind of gold rush mentality doesn’t kill what could actually be something that really, really benefits the industry. I think certain movies are right for 3D. I think certain movies are not right for 3D. And I think the specialness of 3D will be worn off if every movie becomes 3D. 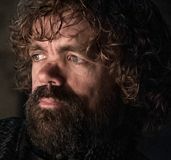 If I was one of the leaders…if I was just a leader of one of these studios what I would do is I would go to all my cohorts who run other studios and say let’s make a deal. Let’s each of us make three 3D movies a year or whatever the number is. Let’s not take every movie and make it a 3D movie. Let’s take our three tentpoles or whatever movie it is so you have a specialness to it. And I just wouldn’t turn everything into 3D. Now look, Alice in Wonderland was a conversion in post. And I thought that looked pretty good. I haven’t seen Clash yet, so I don’t know what to do on that but I’ve seen a lot of tests on movies that I’m working on and tests on other movies that were shot 2D of catalog movies that are now being changed to 3D and I thought those actually looked pretty good. I’m probably one of the first person in their home to have 3D. I have 3D in my screening room right now. I converted maybe 3-4 months ago where I had film projectors but I also have digital 3D in my house. So this weekend I watched How to Train Your Dragon at my house in 3D. And I loved it and my kids loved it and it was a great experience. 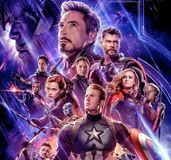 So what are your thoughts though because you’re obviously…you have some very big ticket movies on the horizon, do you want to shoot these movies in 3D or are you sort of thinking the footage you’ve seen for post is good enough that you can convert it? Moritz: I think that if you’re creating an environment completely or…in my research, what I’ve learned is that if it’s a CG world or a lot of visual effects, you’re almost better doing that in post. If I’m shooting actually a live-action movie and I feel like I can get the shots that I need with the existing 3D cameras, then I see there is no reason to not use those-to not shoot it in 3D. But there are limitations to the 3D cameras in terms of the amount of them, in terms of the size of them, in terms of where you can actually shoot them. There are definitely limitations so you have to weigh the costs. And you have to weigh also what ultimately what creatively you want to get. We’re doing tests right now on Battle: Los Angeles and we’re doing right now on Green Hornet about turning those movies into 3D movies. We’re going to look at the tests, see how they look and then make a decision. I definitely want to jump into those-into Battle: Los Angeles, I was fortunate enough to visit the set of that film and it looked spectacular when I was there. Moritz: I’ve now seen the movie. I think it’s groundbreaking. I think Jonathan Liebesman has done an incredible job for a manageable budget. I think that the movie’s turned out better than I could have expected. I think the aliens look incredible. And I know on a page I read humans fight aliens, but when I watched it on-screen and to actually see basically Black Hawk Down type fighting where they’re not fighting…they’re fighting aliens was incredible. It was just an incredible visual experience. Moritz: We’re going to have stuff available in summer. So do you think this is one of those projects that’s going to be at Comic-Con with one of those things? Moritz: I think we’ll definitely have stuff at Comic-Con. Jumping into Green Hornet. Obviously what can you tell people about the status of that film? Moritz: I watched the first hour on Friday. We showed the first hour. We brought Sally Menke who edited Inglourious Basterds to come in and edit the movie. She showed us the first hour, myself and the studio on Friday. We’re thrilled at what we’re seeing. Obviously taking a combination of two genres action/comedy…super hero comedy and bringing them together. The hardest part of that is what is the tone of the movie? 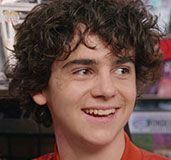 And I think we’re able to capture a really real good tone for the movie that also lends itself to the humor that Seth does but it’s really grounded real humor vs. broad silly humor. But with great action and with Gondry’s visual flair. I mean we saw a very early version of a fight scene that he’s doing where we do a thing called Kato Vision where Kato can kind of see things before it happens in fight scenes so he knows how to take people out. And it was amazing. Moritz: Yes, it was very different. I wanted to know the comparison. Moritz: It’s a very different kind of thing because this is all told visually vs. in Sherlock Downey kind of talks his way through what happens, this is all very quick. 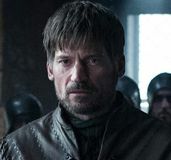 And it basically what it does for the fight is Kato kind of sees it split seconds before in his head and knows how to actually….we see pieces of it. We don’t know how he’s going to put it together and then he puts it all together. Just to clarify, it’s not like a supernatural thing? Moritz: No, it’s not a supernatural thing. It’s a skill. He’s got skill. The Bryan Singer Jack the Giant Killer movie. You guys are shooting this summer? Moritz: We’re shooting in the summer. Are you shooting that one in 3D or are you doing that one in post? Moritz: There’s a number of conversations going on right now. We have not made a decision whether we’ll shoot maybe some of the live-action stuff in 3D and then some of the stuff that we create…the green screen stuff not in 2D and then…. Bryan was on a tour last week of all the different 3D houses whether they’d be conversion or actually going to look at all the cameras for 3D and we’re still making a decision about what we can actually do with what ultimately he wants the movie to be. What can people look forward to with the film? What can you tell people about it? Moritz: I think it’s an amazing, amazing film that I don’t see any barriers to entering into this movie for anybody. It’s really a movie that takes the Jack and the Beanstalk legend and then the great idea of humans against giants and combining that and having basically a war between humans and giants. And I love the project. It’s like if I had to pick one movie to see today, that would be the movie I’d want to see. I so much want to see what that movie ultimately becomes. We did a huge presentation for Warner Brothers and New Line and I saw all the visuals, some test stuff that we did and really the visuals are so phenomenal. It feels like a Lord of the Rings epic type movie. Have you gone to Comic-Con and have you walked around the floor? What do you geek out over when you’re walking around? Moritz: Well for me, I don’t like being around that many people, so it’s very hard for me. 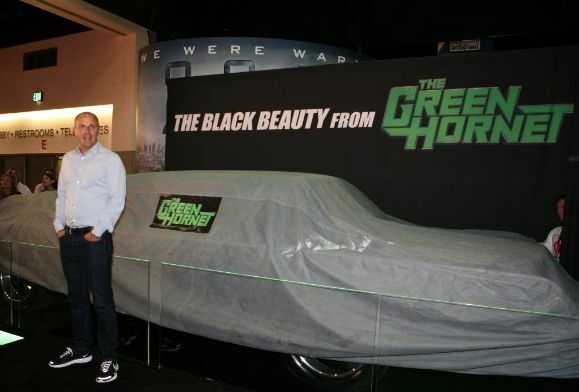 But last year when we got to bring the Green Hornet—the Black Beauty car to Comic-Con and we brought it there after hours and then I got to walk around the place when it was more empty. That was incredible for me. I got to see all the stuff and look at all the stuff and I’ve also been there when the floor is completely packed and I like looking at people. I mean I like the people watching. I mean to me it’s incredible and I love the passion that the people that are there have for all these different characters and the worlds and toys and my passion for film is the same as their passion for this material and I admire that. 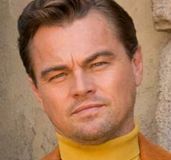 Well what’s interesting is…based on what you’re doing right now and what you have in the future, you’re turning into a real big comic book movie producer as you have a lot of projects there. Moritz: We have a lot of projects that are from that world. And I just like that stuff. I just gravitate towards it. It’s the stuff that I want to go see opening on Friday night. It’s what I’m interested in going to see, but I’m not only interested in making things that are pre-branded on these properties. I mean, Battle: Los Angeles to me fits perfectly in the Comic-Con world, but it’s not based on a pre-branded type project. Where I’m going with this is do you have certain comic book properties that are out there that you’ve seen that you’re like this would be great stuff… That’s something that I cannot wait to see made? Moritz: Well, Green Hornet was one of those things for me. I had been a huge fan of the show for the show, the comics, the radio. Bruce Lee is my favorite so I’d been tracking the rights on that thing for quite a long time and then when they became available, I did the full, full, full core press to the people…the state and the family that controlled the rights and just showed them my passion for wanting to make it and I promised them I’d get the movie made after many, many failed attempts to get that movie made by other people, I’d promised I’d get that movie made and I was able to live up to my word.